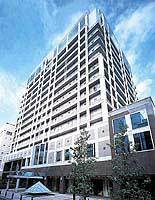 Situated an 8-minute walk from the Subway/Kintetsu/Nankai-Dentetsu Namba Station, the Hotel Metro the 21 is favorably located in the exact middle of Soemoncho in Osaka. Calm atmosphere and relaxing space pervades guest rooms. Dining Kenryu, Chinese restaurant on the 15th floor, serves Cantonese and Sichuan cuisine made with fresh seasonal ingredients. It is suitable for business or exploring the sights of Osaka including USJ. 8 minutes walk from Kintetsu, Nankai and Subway Namba Station exit #14. 5 minutes walk from Kintetsu and Subway Nihombashi Station exit #2. 10 minutes drive from Dotombori exit, Hanshin Experessway.